O’Brien’s Market is one of the topmost grocery stores that serve the Modesto, California, area. The store has a wide range of health food products. In this way, the store has been able to cater to the needs of customers and the community at large. Responding to the growing need for healthier food options, the store formed a special section that features all-natural foods. O’Brien’s Market began in 1978 when the first store was opened. Since its inception, O’Brien’s stores have grown. An additional store was opened in 1994 in Riverbank and another one in 2002 in Modesto. This store is one of the most popular choices for customers in need of groceries at their local area. The owner of O’Brien’s Market is Chuck O’Brien, who clearly believes that the wide range of quality items has contributed to company success. 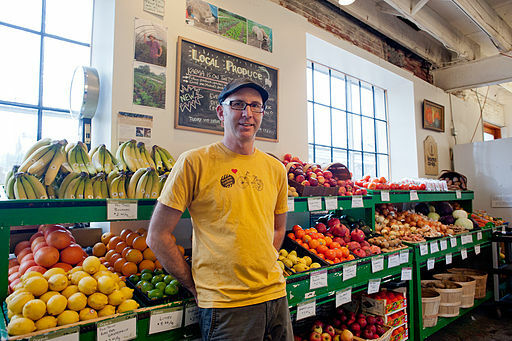 He claims that O’Brien’s sells the freshest food products, which are mainly purchased locally. O’Brien is also known for providing a wide array of wines and cheeses. The finest cheese is particularly found in the Dale Road store. The company is committed towards meeting the needs of its clients, especially in terms of providing the healthiest food options at affordable prices. I would like to know how to become a vendor for your various locations. We are Raining Willows Salsa…www.rainingwillows.com and we are a natural salsa distributed by Natures Best. We are located in stores in Hawaii, Utah, Washington and California. We want to expand our client base and would like to discuss the potential with one of your representatives. Please review our web site at the above listed location or you can visit us on Facebook at Raining Willows. My Name is Svend Hjorth Jensen and i come from Denmark. I’m a 19 year old good looking young man who is all about being healthy and getting some work experience. The reason i’m writing to you is that i’m wondering if you maybe had a job or any position i could apply to? My education ends in June and i want to travel to New York to work and meet new people! I love all sort of organic stuff like fruit, shampoo and other products. My cell number is 27 28 23 14 and you can always call me if you want to hear more or have some questions. PS. My english is better when i talk than when i write it.